Two years ago in my review of Fantastic Beasts and Where to Find Them, I wrote that, “It’s difficult not to be wary of films detailing the backstories of our favorite movies.” Thankfully that movie was a far cry from The Phantom Menace. Instead of being a direct prequel to the Harry Potter series that focuses on Dumbledore, it was a film with entirely new characters in a different time and place in the history of the Wizarding World. 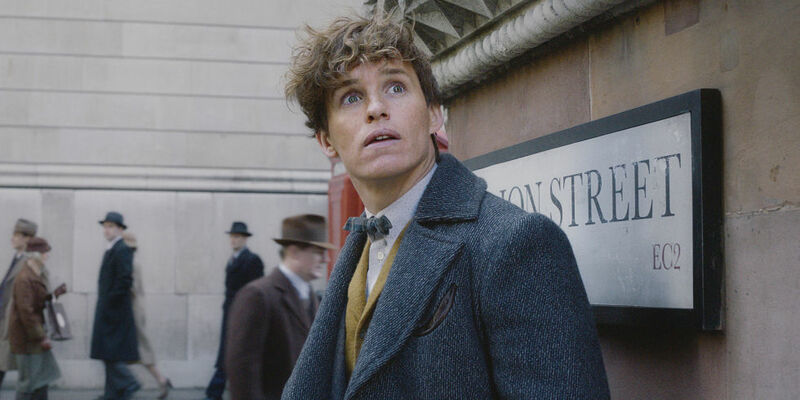 Its hero, Newt Scamander (Eddie Redmayne) was not your typical protagonist. Withdrawn, he isn’t yearning for adventure and he has no desire to do battle with anybody. He just wants to be left to take special care of the “fantastic beasts” he loves so much and to help the rest of the Wizarding World understand them as he does. Newt would likely be someone the hero would meet along the way in most movies. An odd but likable helper who might be there to lend a hand for a couple of scenes in the second act. Maybe he’d show up again at the end after the climactic action sequence. His being the lead gave Fantastic Beasts a unique feel. The first movie succeeds largely thanks to Newt and its other core heroes, Tina (Katherine Waterston), Queenie (Alison Sudol), and “No-Maj” Jacob (Dan Fogler). The chemistry and interplay between the four was a pure delight to watch. Add to that the imagination that went into the beasts themselves (who doesn’t want a Niffler?) and a decent if not incredible story- but one that stood on its own without relying on allusions to future events for fan service- and screenwriter J.K. Rowling and director David Yates had delivered a decidedly solid and entertaining film. As that was just the first of a series of what is to be five movies, now Rowling is bringing young Dumbledore (Jude Law) into the story, as the rest of the Fantastic Beasts films will show us the buildup to the Wizarding World’s WWII. Opening in 1927, a year after the events of the first movie, The Crimes of Grindelwald jumps straight into action with the escape from prison of dark wizard Gellert Grindelwald (Johnny Depp). After this sequence however there really aren’t that many action scenes in the film, which is really just as well as they are not particularly engaging. Being the second film of five, this is a movie that is primarily focused on setting things up for what is to come. While that is not surprising what may surprise audiences is just how much of The Crimes of Grindelwald is dedicated to exposition. There is- to a certain extent- something refreshing about a big franchise sequel really taking the time to tell a story and have moments where characters are just talking and connecting. I say to a certain extent because 2 hours and 14 minutes is a lot of time to take to cover the amount of ground The Crimes of Grindelwald does. While the movie doesn’t become dull certainly, it’s hard to imagine that this couldn’t have been tightened up by about fifteen minutes. Another aspect of The Crimes of Grindelwald that might frustrate some is that our core four spend most of it split into smaller pieces. Much like this movie focusing on table setting however, this also really shouldn’t be a surprise to anyone who’s seen The Empire Strikes Back or The Two Towers, just to name a couple of examples. 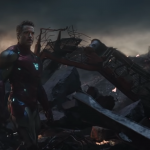 While the joy of that connection is so much of what made the first film work as well as it did, in order for the overall story to develop and the characters to grow, it makes sense that they have to be pulled away from one another at this point. Of the four, the character with the most interesting and surprising story strand is Queenie. Alison Sudol positively lit up the screen in the previous film but she’s really tasked with something else entirely here. There are flaws, complexities, and depths to Queenie that Sudol brings to life wonderfully. The cast does good work all around, though as Jacob, Fogler seems to sadly be pushed further to the background than he was before. Redmayne continues to make Newt Scamander a complete joy to watch and Waterston’s Tina feels more fleshed out now. The other main returning cast member from the first film, Ezra Miller as Credence has to communicate a lot by doing very little. Believed by the Wizarding World to have been killed at the end of the first movie, Credence has survived but is living with a kind of shellshock that keeps him cowering in fear. Now aware that he is alive, both Dumbledore and Grindelwald are in search of him for their own purposes. For their part as the former friends turned rivals, Law and Depp are both quite good. When we first meet Law as the young Dumbledore it’s almost as if he’s speaking with the voice and cadence of the late Richard Harris (Dumbledore in the first two Potter films). I realized after a moment that I wasn’t even really absorbing what he was saying as I was so struck by the way he was saying it. This much younger Dumbledore is full of charm and he uses that charm to manipulate Newt into going on the mission to find Credence despite Newt’s highly understandable hesitation. Depp thankfully does not play a variation on Jack Sparrow, which is rare for him anymore. Like Dumbledore, Grindelwald is manipulative, but is the evil side of that coin and Depp brings him to life with a nuance we haven’t seen from him in a long time. That said, the horrific real life allegations against him meant he shouldn’t have been anywhere near this movie. The Crimes of Grindelwald is ultimately a film with several key developments and major reveals that will be paid off further down the line, with only one very slim internal resolution of its own. Unlike the Potter books/movies and the first Fantastic Beasts, there isn’t much sense of a beginning, middle, and end. How much you enjoy this film will largely be dictated by how much that does or doesn’t frustrate you. Overall I enjoyed it but not nearly as much as the first film and feel that it could have definitely used its time a little more efficiently. 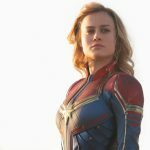 The next one (due out in November of 2020) will be key in determining the overall direction of this series and likely how invested audiences will be to see it conclude in its fourth and fifth installments. While I enjoyed Law’s performance and enjoy seeing Dumbledore shaded in a bit as part of this story, I am far more invested in Newt, Tina, Queenie, and Jacob than I am in the decades-long battle between Dumbledore and Grindelwald which has already been detailed in the Harry Potter series. If the focus becomes more and more on that, with Newt and friends pushed further and further to the side, then this series will ultimately be disappointing and pretty unnecessary. Hopefully Rowling will keep Newt at the center of the story. Don’t let him just become the helper that Dumbledore found along his way.